Do you need to collect any additional information from customers for this store? 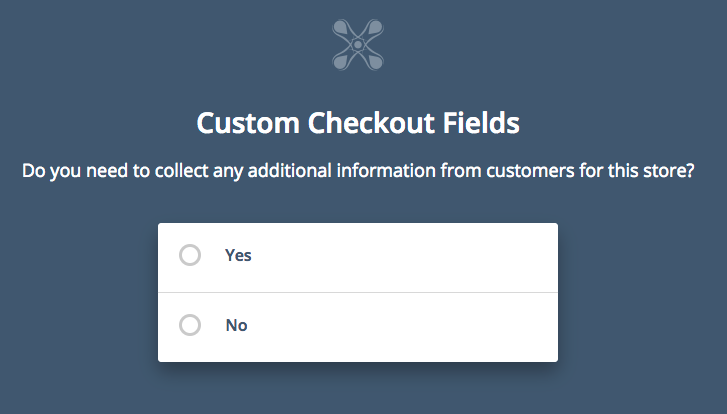 Click Yes to create a custom checkout field. Select No to proceed to the next step. Optional: Choose if you wish to make this a required field during checkout. Type in the Field Label. 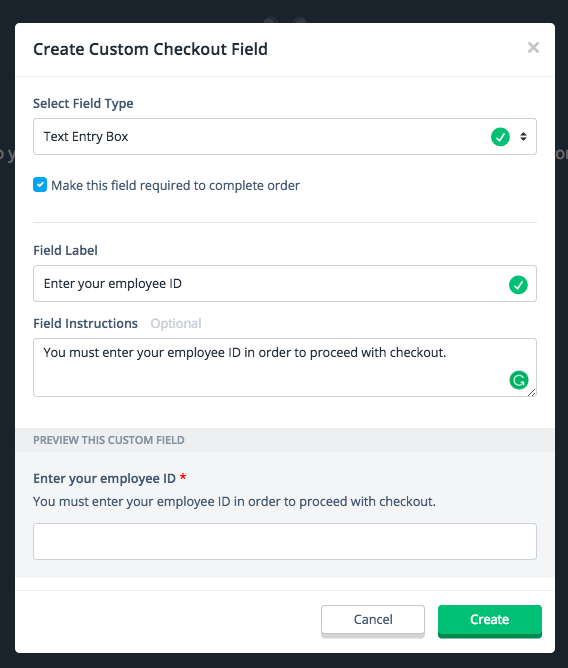 Field Label is the title of the custom checkout field. Type in the Field Instructions. 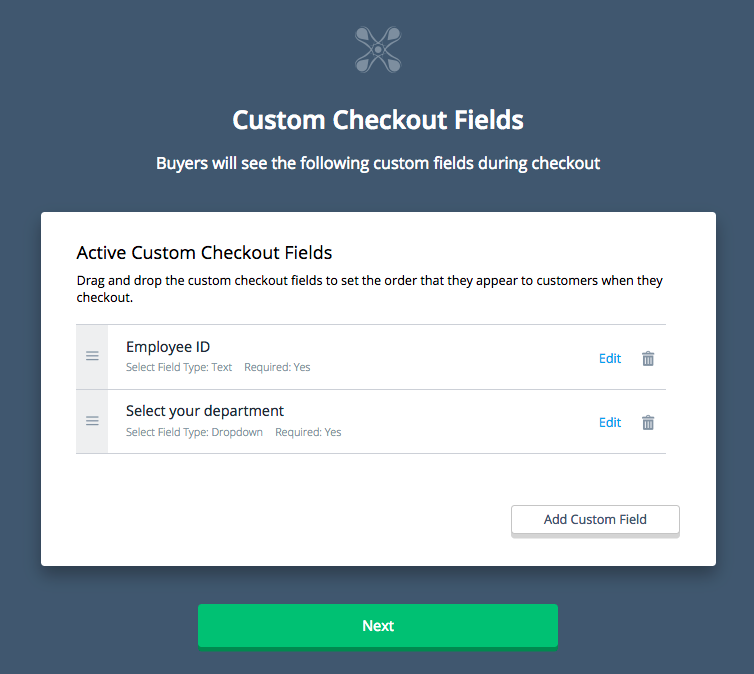 Field Instructions indicate the action or response you need from customers at checkout. 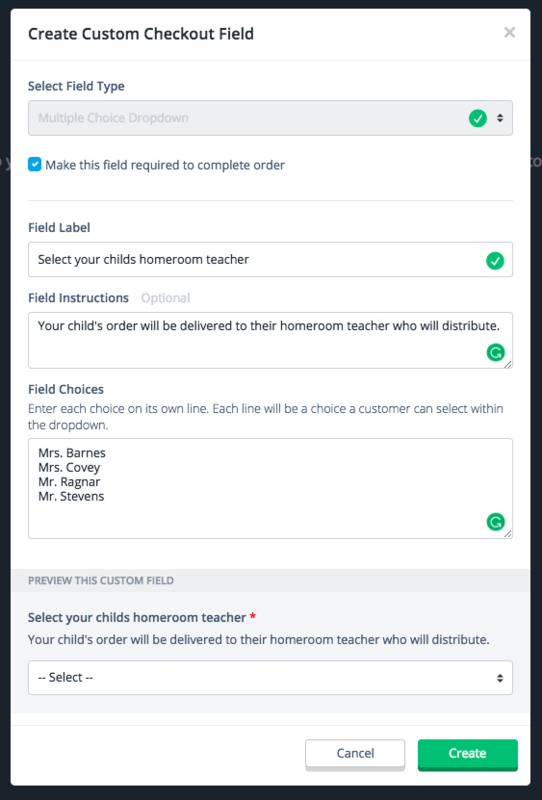 At the bottom of the form, you can see a preview of your Custom Checkout Field to see how customers will view this during checkout. Here you can drag and drop to change the order. Click 'Edit' to modify, or click the trash icon to remove.